The state could spend more than a billion dollars on corrections in the next ten years — but will that happen? The big bucks would buy 8900 new and 2600 replacement beds for both juvenile and adult facilities, under a plan now being reviewed by the Department of Corrections. State Assembly Corrections Committee chair, Representative Joe Parisi , says any spending plan needs thorough review. 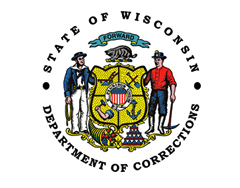 "For the last 15 to 20 years, the legislature has been focused on correctional policies that, frankly, are more concerned with what sounds tough, rather than what actually works" says the Madison Democrat. DOC Secretary Rick Raemisch appears to agree. In DOC press release (PDF), Raemisch states that expanding capacity is not the only solution, and that unless something changes, demand for costly prison space will continue to grow. Given the massive deficit Wisconsin is facing, Raemisch says the plan provides a blueprint of where we don&apos;t want to be in 10 years. That&apos;s an analysis Parisi agrees with. "Unless we start taking a smarter approach to corrections, we&apos;re never going to be able to get rid of this growth that we&apos;re seeing, and the bottomless pit of taxpayer dollars that we&apos;re spending on corrections," he says. State Senator Lena Taylor , who will co-chair an oversight committee on corrections costs, says Raemisch hits the nail head-on about identifying options beyond brick and mortar.